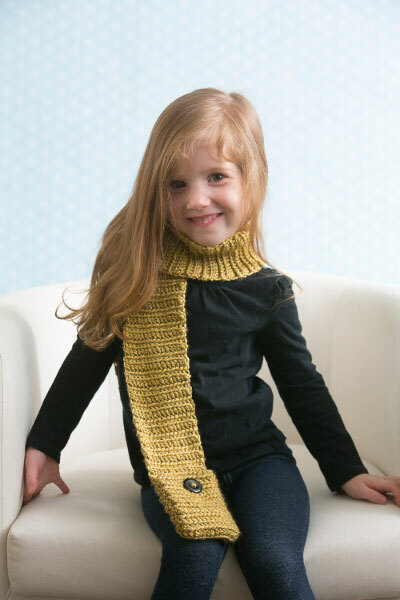 This quick and easy scarf includes two small pockets for your child to store favorite finds. 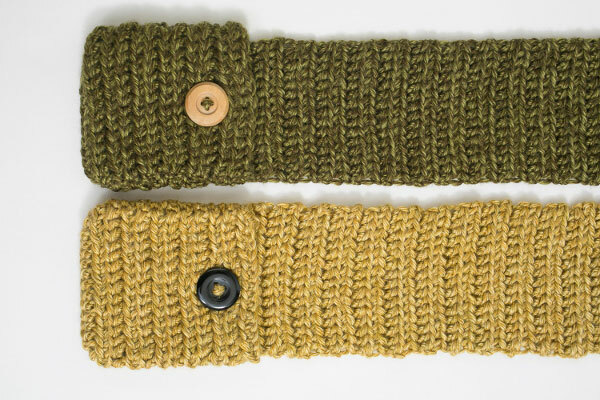 Personalize the scarf by including coordinating or contrasting buttons. With this Children’s Crochet Pocket Scarves Pattern, it’s easy for your little ones to keep their hands warm on blustery days. Ch 2 at beginning of rows does not count as a st.
Row 2: Turn, ch 2, hdc flo in ea st across. Row 3: Turn, ch 2, hdc flo in ea of first 6 sts, ch 3, sk 3 sts, hdc flo in ea of last 6 sts – buttonhole made. Row 4: Turn, ch 2, hdc flo in ea of first 6 sts, hdc in ea of next 3 ch, hdc flo in ea of last 6 sts. Rep Row 2 until scarf measures approximately 52”/132 cm long. Row 7: Rep Row 2. Fasten off. Fold edge of scarf over approximately 4”/10 cm to form first pocket. (Optional: Use 3 locking stitch markers to pin each side of scarf in place before joining as pocket.) 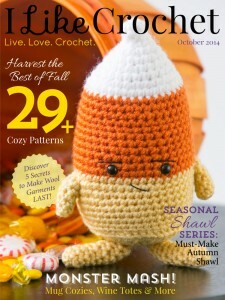 Join yarn with sl st to top edge of pocket, ch 1. Inserting hook through both sides of scarf, sc in edge of each row across, removing stitch markers as you work. Fasten off. Repeat to join along opposite edge of pocket. Form pocket on opposite edge of scarf, being certain that folded edges are on same side of scarf before joining. With tapestry needle, weave in ends. After pockets are formed, turn inside out so that sc join is on pocket interior. Place first button inside of pocket, and line up with button hole. With tapestry needle and a strand of yarn measuring approximately 12” (30.5 cm), sew button into place. Weave in yarn ends with tapestry needles. Spray block if necessary. My grand daughter is wanting to learn to crochet a scarf. She is 8 years old and has done a few stitches. Was looking for patterns that would be easy for her. How do I keep the edges of my pieces nice and straight? I’m really struggling.